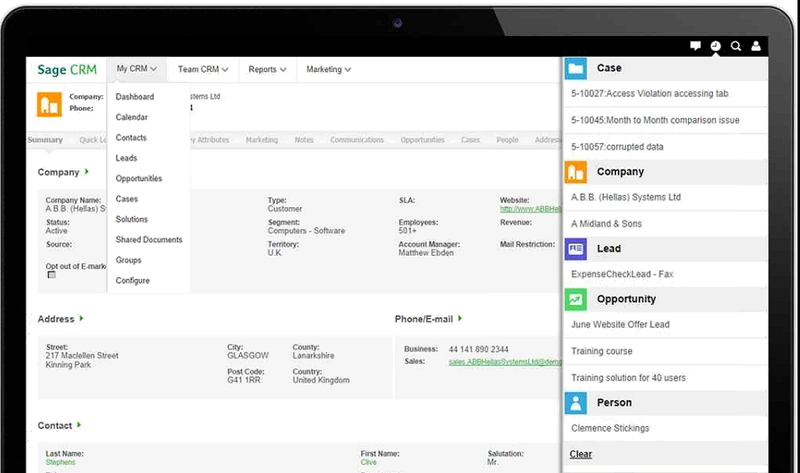 Sage CRM offers business owners and managers dedicated tools to gain a complete view of how their sales teams are performing against targets. Visual reports, charts and dashboards enable at-a-glance assessments and informed decision-making. Case management, SLA tracking, a central knowledgebase and powerful reporting, giving you the tools you need to offer your customers an excellent customer service experience. Automate and manage the progress of customer service cases through standard workflows. Manage your team’s cases and monitor metrics like case volume and resolution times using graphical pipelines. Access the latest customer and support information from anywhere within the business. Engage in more meaningful conversations with customers based on the latest information from your teams. Report on critical customer service metrics quickly and easily.